Ensono is a recognised global leader in IT infrastructure management. They employ over 2,000 staff around the world. Their headquarters are based in Chicago, US and one office is located in Staines, UK. They’re an award-winning certified expert in Amazon Web Services (AWS), Azure and a Microsoft Datacentre Transformation Partner. One, London Rd, Staines-upon-Thames TW18 4EX. Ensono delivers tailored hybrid IT solutions and governance for their clients. Through the power of hybrid IT they help IT leaders transform their businesses. They manage hundreds of complex migrations and design solutions that address a wide range of challenges faced by companies today. Over the last few years, Ensono has been growing as a business and subsequently experiencing an increase in its number of employees. They had three years remaining on their office lease, and were undecided as to whether they should stay in their current office, hire more space or relocate. They were looking to completely change their office space into a natural, minimalist and residential workspace. They also wanted the office space to be as open as possible with a small number of cellular areas. We interviewed various members of the team, including senior management to understand how they worked and how they collaborated. The team couldn’t have internal meetings because they didn’t have the allocated space to do it. The Skype calls with clients at individual desks were disrupting other people’s work. The kitchen was a closed area and didn’t have space for staff to meet and chat informally. A blue-sky thinking solution for how staff could work differently in their current space (this option enabled the designer to approach the issues faced by the client without any design boundaries). The design process was a creative approach internally and externally. The client decided to look at the ‘Activity Based Working’ (ABW) concept and implement our design suggestions to cover their growth plan which was estimated to be 30%. 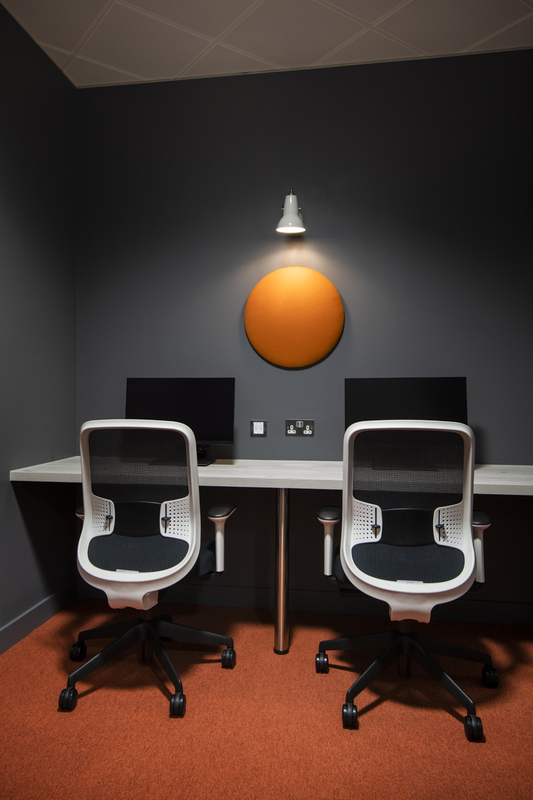 By re-using the same office space, the Cityspace team was able to save approx. £1.2 million in property estate costs over the next three years. During the project, we collaborated with the Marketing Director in the US to make sure we kept a consistent brand identity for their UK office. We introduced pendant lighting and classic pieces of furniture with muted tones for the top surfaces. 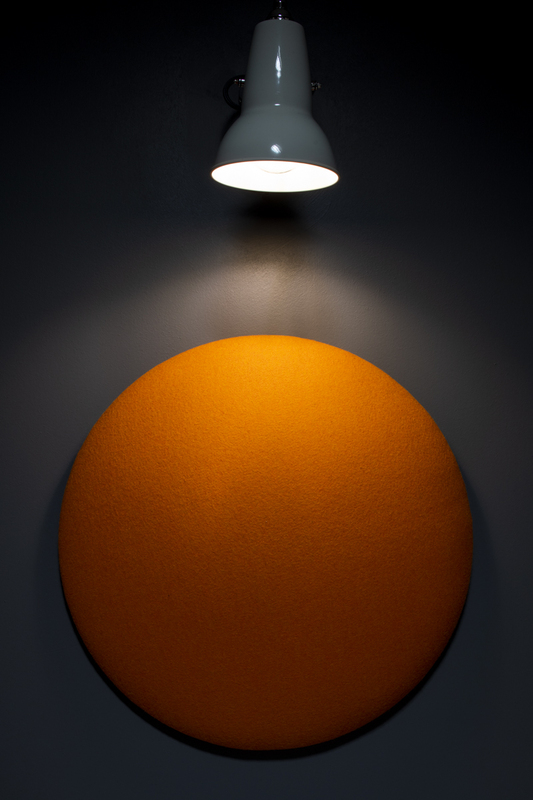 This made it possible to soften the overall look and feel of the office environment, giving it a warm and residential appearance. 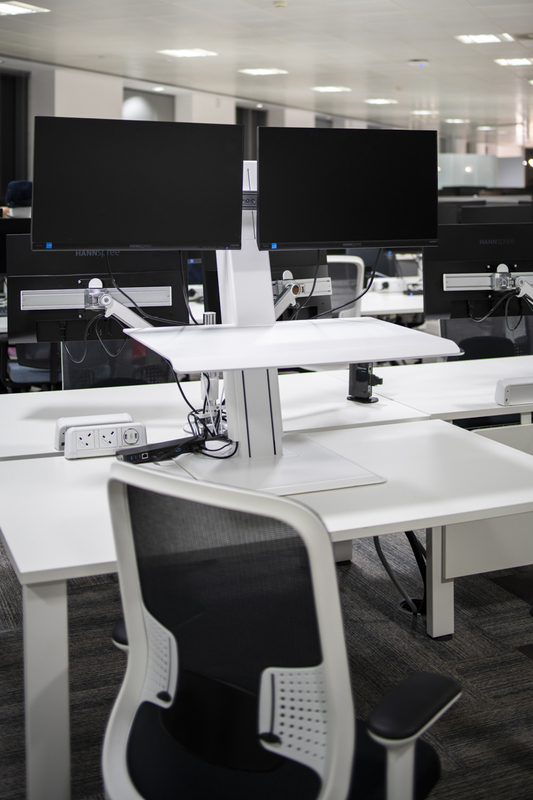 A dedicated space with fixed desks and multiple screens was created for their 24hr customer service department. 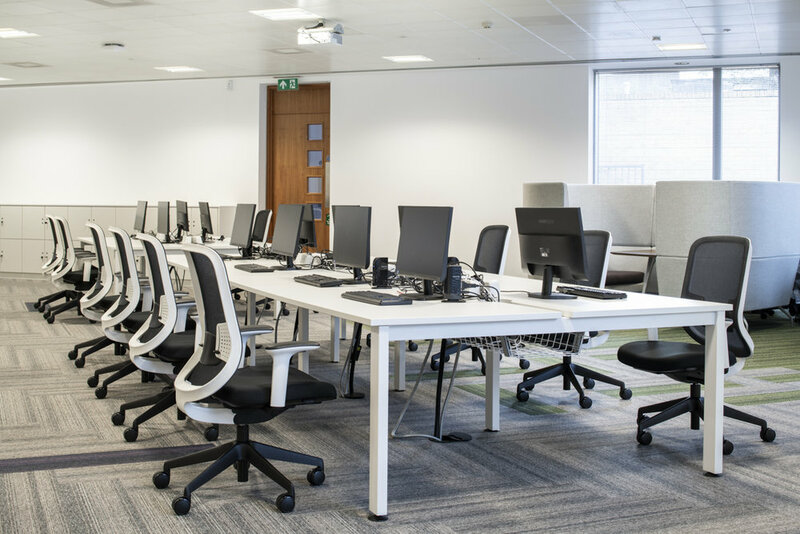 We designed and fitted the individual desks, quiet areas and Skype conference rooms. The reception area had a folding glass wall that allowed the natural light to flood through the office. The folding door was introduced to create a separate space for meetings and make use of the entire reception area for the company’s announcements and Friday social get-togethers. We separated the open plan into neighbourhoods to maximise staff efficiency and productivity. We strategically placed break out areas near every department so staff could have quick informal as well as confidential meetings with clients. We replaced the desk pedestals with lockers to create more space for staff at their desks. We used reclaimed timber for the breakout benches, and a mix of seating with different style of chairs to give a relaxed residential atmosphere. Six standing work stations were created to allow people to change posture at their desk by switching from a seating desk to a standing desk. In collaboration with Ensono team members, we introduced the concept of test and vote for your favourite desk, which allowed staff to be engaged and excited about selected designs for their new office. We also introduced secondary colours that made a difference to the entire design and feel of the office. Some stools were bright orange in the break out areas and we added a splash of green and purple throughout the carpet flooring. We placed the tea point in the centre of the office and added an architectural timber feature to create a divide between the kitchen area and the open space. We fitted out seating booths and feature pendants with walls painted in subdued deep grey to create a relaxed atmosphere. 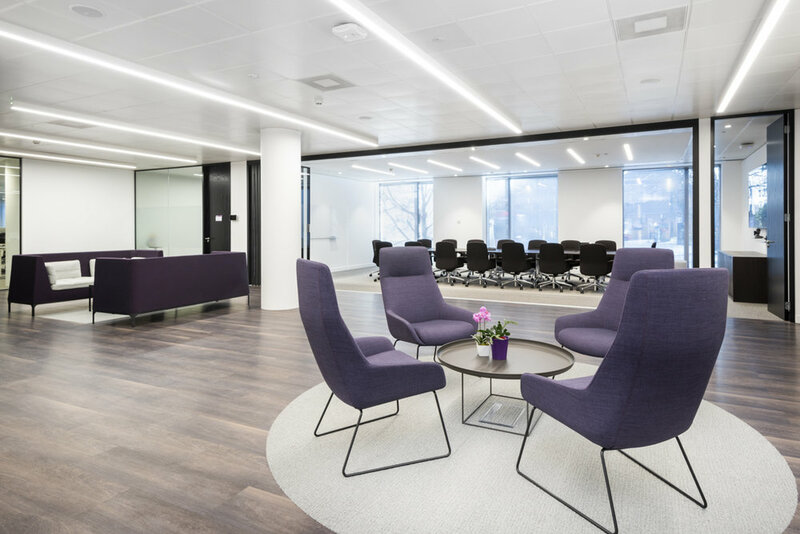 The design strategy produced an incredible transformation of the office visually and functionally because it was implemented with people in mind. 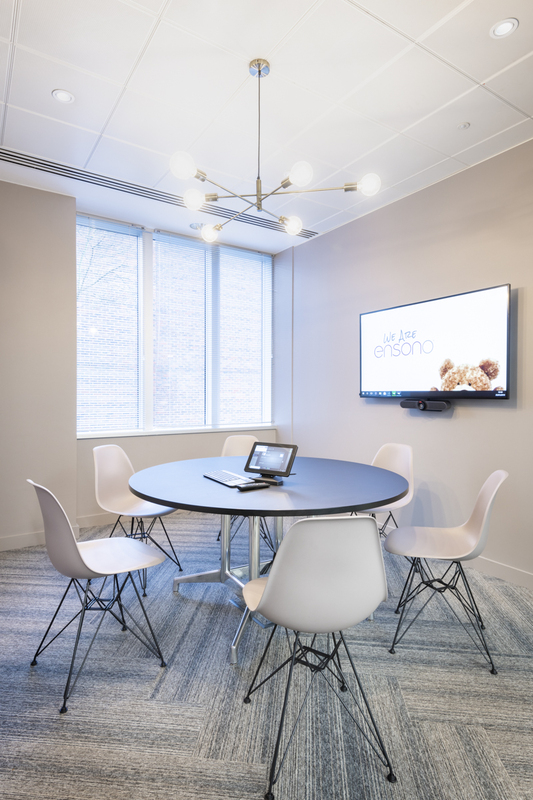 We created specific meeting rooms for external meetings, quiet rooms for deep work and conference calls with clients, informal break out areas for informal chats and brainstorming, and last but not least an open plan kitchen with a gourmet feel. 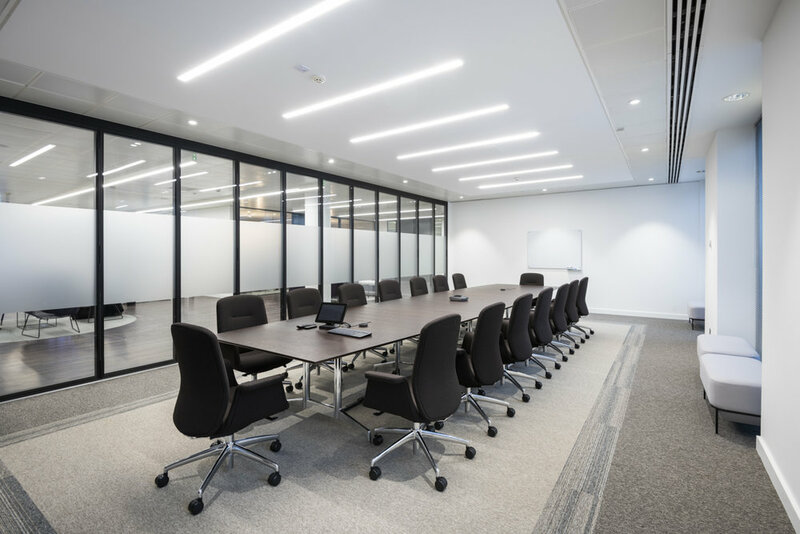 I’ve been so impressed with the project from the design, planning, coordination, communication and skill set of all those involved at Cityspace. Really enjoyed working with everyone at Cityspace and I appreciate how accommodating they were to our change of plans and additional requests.